In the entire universe of Star Wars, there is no ship that comes close to the Millennium Falcon. Sure, the Empire might have a gigantic budget and fancy new technology, but they are missing one key element: Han Solo & Chewbacca! And as we all know, that's a partnership second to none! With the Star Wars Millennium Falcon Puzzle, you can build your own spacecraft piece by piece. 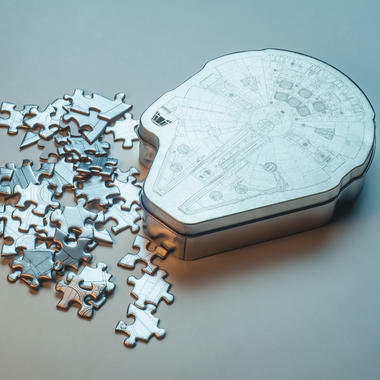 The puzzle consists of 201 pieces that can be stored in the Falcon-themed tin. Who knows, you may be able to finish the puzzle faster than Han can make the Kessel Run ;). 89 DKK lade... 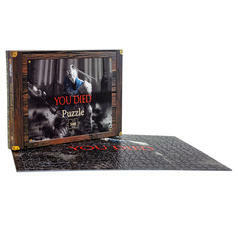 Puzzle "You died" For Arthur Rias' sake! This puzzle is really difficult! 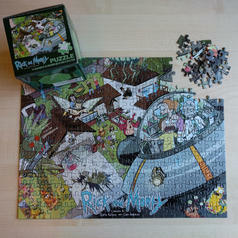 44 DKK lade... Rick & Morty Jigsaw Puzzle Wubba lubba dub dub! This puzzle is not for the faint of heart... or Morty ;). 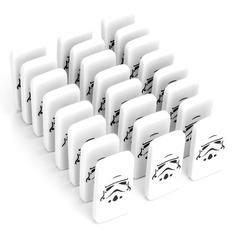 59 DKK lade... Star Wars Galactic Empire Dominoes The Empire's secret weapon: Domino Troopers! 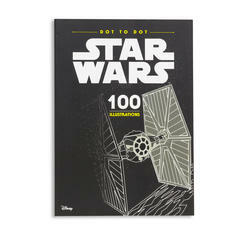 127 DKK lade... Star Wars Dot to Dot Colouring Book Connect the dots to bring the Death Star, Darth Vader and many other characters to life!